Where East Coast Meets Left Coast. Marathon #3 is in the books and boy was it a doozy. TL;DR version: I overloaded myself the day before the race, got sick the morning of and struggled in 80 degree heat for 26.2 miles. However I finished with a time of 4:53 mins, only 3 mins shy of my PR and in the top 1/3 of overall finishers and top 1/4 of women! I loved the course but didn’t think the marathon organizers did a good job of preparing for the heat. Just a warning: I basically clawed my way to the finish and it wasn’t pretty. Consider yourself warned. The past week has been a whirlwind. The Monday before the marathon I started an awesome new attorney job that I am very happy about. Due to the timing, I had to work my final shift at Susie Cakes on the Saturday before the marathon. I was more than happy to do this (I will miss Susie Cakes a great deal even though I love my new position and am happy to be working as a full time attorney) but it made for a very draining week. I also packed looking at apartments with Joe and going to downtown to get my bib into Saturday. I had so much going on Saturday and I didn’t plan my eating well. When I overload myself with activity things usually fall through the cracks which is what happened. I also didn’t eat dinner until 9 pm Saturday night which was also probably not the best plan but since I worked until almost 8 it was somewhat unavoidable. Speaking of things falling through the cracks, I woke up at 4:30 ready to roll for the race. I stayed at Joe’s the night before the race because he was graciously driving me (again! Best boyfriend/spectator ever!) and I realized as I was getting dressed that I forgot my sports bra. Total fail. I was upset with myself for forgetting such an integral element of my running ensemble. I went to go make our bagels instead. The smell of the bread made my stomach turn and before I knew it my dinner was making a reappearance. As this was happening I became terrified that I wouldn’t be able to finish the race. 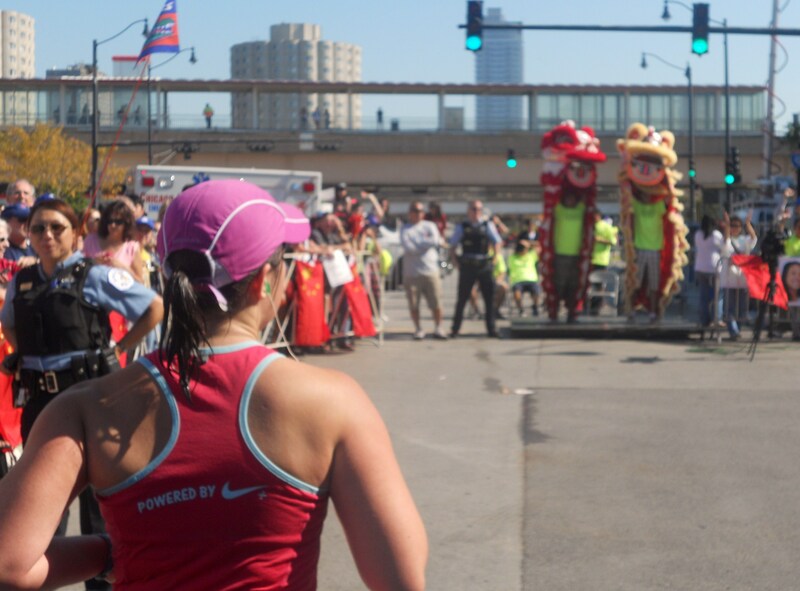 Throwing up your dinner the morning of a marathon is terrible for numerous reasons. Obviously, it leads to dehydration which isn’t ideal especially when you plan on running 26.2 miles in 80 degree heat. I also had no food in my tank as a result. This impacted my whole race. Obviously, I managed to get my hands on a sports bra and made my way to Dodger Stadium. I didn’t have too much time once I arrived at the start line. I was able to pop into the porta potty and tried to squeeze into a corral. I was unable to get into my seeded corral (based on my finish time in Long Beach) but I got into the open corrals between the 4:30 and 4:45 pacer which was where I wanted to be. After the national anthem (sung by a guy from the Voice who struggled and sang the wrong words) and some words from the mayor the race was underway. They played “I Love LA” after the gun was fired and I choked up like a total goober. LA may not be the city I was born in but moving to and living in LA has changed my life in immeasurable ways and I have strong feelings for this place. The start from Dodger Stadium was very crowded which was annoying but downhill which felt nice. Unsurprisingly I felt good for the first 5 miles. I knew that was I dehydrated and that the heat and sun were going to kick in eventually. I made sure to stop at every water station and was consistently monitoring the stomach situation. I took my first gels 30 mins in. Usually I hold off taking gels until I’ve been running for at least 45 mins but I had no gas in the tank food wise and knew I needed to fuel. I really enjoyed running through downtown. We got to run through Chinatown, by city hall and the concert hall. There were a decent amount of spectators out which was fun. I fed off the spectator energy and I loved seeing people out watching the race and having fun with it. The LA Marathon course is billed as “25 landmarks over 26 miles” but this race could have easily been 50 places Katherine has been since she moved to LA. I distracted myself throughout the race by trying to spot all the places I’d been before and remembering fun memories from them. Downtown reminded me of going there for work; countless times I’ve been there for dinner/drinks with friends, and seeing The Glass Menagerie at the Ahmanson Theater with my mom’s cousin. Downtown features many rolling hills, the worst of which is a two part beast as you go into Echo Park (I believe? Parts of the experience are hazy). I allowed myself some hill walk breaks and spent a lot of time monitoring my health. The course continued into some of my favorite LA neighborhoods: Echo Park, Silver Lake, and Los Feliz. I have a TON of memories in this part of the city and the spectators were out in full force so it was a fun part of the course. We ran by the Echo Park and saw plenty of bands and people out cheering. I egged on the crowd in Echo Park yelling: “I can’t hear you ECHO PARK” and the spectators responded which is always fun. There were also a lot of fun signs in this part of the course. My favorite was: “If marathons were easy they would be called your mom” and “you run faster than the 405”. I ran by Mohawk Bend in Echo Park and wished I was drinking IPA. I ran by Thirsty Crow in Silverlake and remembered fun nights there. When I got to the Vista Theater I spotted Joe! I was so happy I was able to catch him. I gave him a high 5 and kept moving. There was still a decent amount of cloud cover at this point and I was more or less happy. I started to feel a bit of soreness in my legs at mile 8 which I knew was going to start up eventually. I continued to monitor my stomach. There were a few moments where it felt sloshy and I was burning through my Gu’s fast but overall I still felt OK. I didn’t feel bad burning through my Gus so quickly because I knew that there were more on the course and I was seeing tons of spectators with orange slices, pretzels, and twizzlers. Also, there were a randomly large number of girl scouts on the course selling cookies. NOT FAIR. I wanted cookies but had no money to buy them with and also, how would I carry a box 18 or so more miles? I continued on my merry way into Hollywood. Hollywood is a fun part of the course because there were many spectators and also you get to run down Hollywood Blvd. Usually I avoid Hollywood and Highland if I can but it was fun to run down the street with no one else there. There were some Michael Jackson impersonators on the course which was a welcome distraction and there were some AWESOME bands. As I reached the halfway point, the clouds opened up and the sun came streaming through. This is where things started to really go downhill. If I’m being totally honest, I never felt great during this race but I felt good enough for the first half. My stomach was alternating between cramping and hunger the whole time and I was definitely at a major disadvantage having thrown up and being dehydrated. I was able to handle the stomach struggles until the sun came out and the temps went up. I held a sub 10 min mile pace for the first 10k and it felt easy. I kept a 10:30 pace through 20k. After the sun came out at the midway point all bets were off. There was no official timing mat at 13.1 but I was there at 2:15 or so which was right on par with my goal of running sub 4:45 (maybe 4:30 if the stars aligned). I made it to West Hollywood, which ended up being my favorite part of the course. The whole time I was running down the sunset strip I was thinking of old memories with my friends (3L Hollywood Bar Review and our epic walk down Sunset Blvd for hot dogs after the party?) and smiling. The course cut down to Santa Monica Blvd. and there were lots of spectators and drag queens out cheering. This part of the course did a great job of distracting me from the fact that I was getting hotter and hotter and starting to feel awful. I was drenching myself with water at every opportunity and trying to stay positive. I stopped worrying about time goals and just tried to soak in the experience and stay positive. The course left West Hollywood and went into Beverly Hills. The most exciting part of Beverly Hills was running down Rodeo Dr. Other than the course was pretty dull. Again, there was a strong spectator turn out. By the time I reached Beverly Hills I could no longer ignore how bad I felt. I actually grabbed a full water bottle from a spectator because I was in need of hydration. I got Vaseline from the medical tent for my arms and legs. At one point I looked down at my hands and they looked as swollen as they had at the end of Long Beach (if you don’t recall, I took advil before that race and had to make a trip to the medical tent because my hands were so swollen post race). I knew I needed salt because I was developing symptoms consistent with a mild case of Hyponatremia. Hyponatremia occurs when sodium levels dip. Your fingers will swell and you generally feel a little cloudy which was consistent with how I was feeling physically. I tried to get salt tablets from the medical tent but they didn’t have any which was annoying. Instead I started taking pretzels from whomever I could grab them from. I didn’t even want to eat the pretzels. I was sucking the salt off of them and then spitting them back onto the course. I realize how gross this sounds in retrospect but in the moment I felt like I had no other choice. Also in Beverly Hills, I realized I was down to my last pack of Gu. I decided to take pretzels/orange slices as needed from spectators and save my Gu for the VA when there would be fewer people on the course with snacks. The spectators in Beverly Hills were great. I was sad to miss seeing Cindy because I read all of her LA Marathon race recaps to psych myself up for the race, knew she would have pretzels (which I was desperate for) and her adorable son with her. The spectators at the beginning of Century City were awesome and out in full force along several nice down hills which boosted my mood. By the end of Century City there were fewer people and I was gearing up for big hills in the VA. I had been warned that the VA was the most challenging part of the course. There aren’t many people around and the hills can be daunting. I’ve run 5ks and 10ks on the property before so I knew exactly what to expect. In fact, as I turned into the VA I knew that the rest of the course traveled down roads I’d run many times before. There were a handful of injured vets out which was heartening. I ate my last Gu and started to amp up the walk breaks. I knew that when I hit Brentwood I would want to run more. I continued down my old running path from Brentwood into Santa Monica. Physically, I felt terrible: it was hot, my fingers were swelling, my stomach hadn’t settled, my head felt light, and everything hurt. However, after I reached Brentwood it was like I was running outside my body. I didn’t feel like I was inside myself if that makes sense. It was a weird disconnect I’ve never felt before. I started to cry after I got into Santa Monica. I was counting down the blocks, from 26th to Ocean, and listening to “Shake it Out” by Florence and the Machine thinking off all the time long runs I’d gone on down this road and how they healed me and helped me process life. Distance running is therapeutic for me. Distance running on San Vicente taught me that I was capable of awesome things when I doubted myself through law school. Distance running let me drain out my feelings during many tough personal times. Distance running reminds me of the type of person I aspire to be: one who resiliently tackles challenges and never gives up. 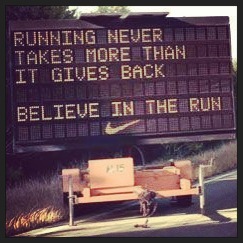 Running is a catalyst for my life and San Vicente is where I realized this truth a couple years ago. To finish such a hard race on that strip of earth meant the world to me. Just after mile 25 I saw Joe again which lifted my spirits. I was happy knowing he was nearby and that the end of the race was coming. I started to catch some glimpses of the beautiful Pacific Ocean. I turned onto Ocean and knew I only had 8 blocks left to run. I had checked my watch at mile 24 and realized that a PR was out of the question but that I could still come in under 5 hours. I was unable to run the whole final mile. I just didn’t have it in me physically. My body felt awful, the swelling fingers scared me, the sun was draining me and I was afraid I would push only to end up falling over 50 feet from the finish. The year I ran the Chicago Marathon in similar hot weather, a man died 50 feet from the finish line so my fear wasn’t totally unfounded. Once I was a block away I started booking it towards the finish line. Finishing was one of the greatest releases I’ve ever felt in my life. You can watch me finish if you’d like. Side note: There was a man who crossed the finish line just before me. He then gave his cell phone to a race volunteer, ran back onto the course, grabbed his baby from his wife who was watching at the finish line, and ran BACK across the finish line with his kid while the volunteer took a photo. Just ridiculous. I staggered across the finish line, checked my watch and realized I missed my PR by three minutes and I was totally OK with it. From the beginning I knew I had to dial down my expectations and reassess my goals. I was happy to cross the finish line so close to my PR and not require any trips to the medical tents. I will never take being able to finish a race for granted, that’s for sure. 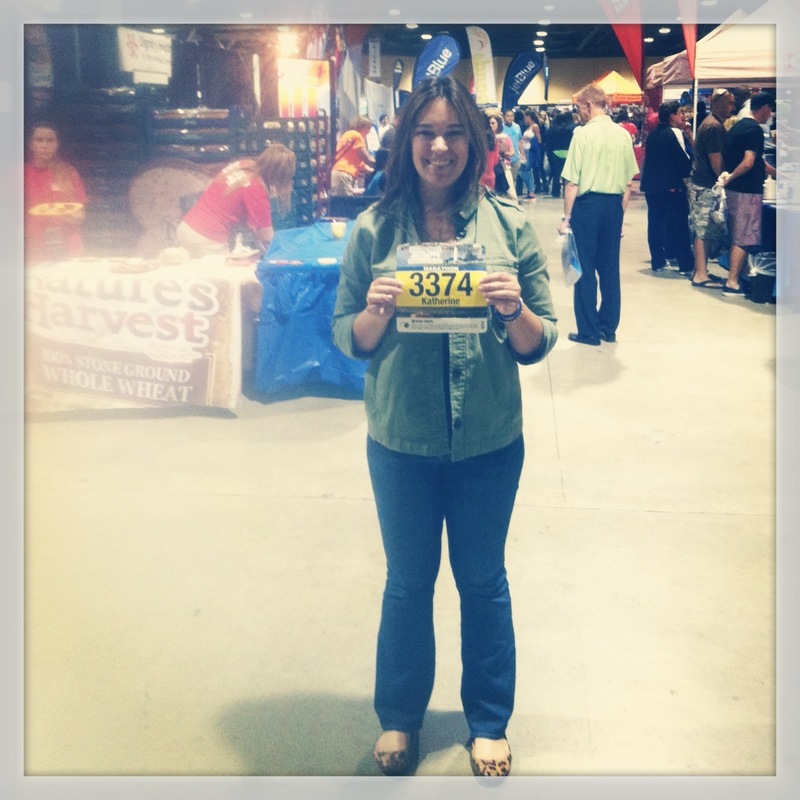 When I got my results I realized I finished in the top 1/3 of runners overall and in the top 1/4 of women. Typically I finish middle of the pack so it was kind of cool to see I did so well against the rest of the field. I had a few complaints about the race organizers lack of preparation for the race. One of my main ones was that we had to walk several blocks to get water after the finish. I could have used water and electrolytes immediately. There was a runner being carried by volunteers to the water after the finish line, no wheel chairs in sight. This is completely unacceptable. I also read later that Gatorade ran out along the course. The aid stations were looking thin when I rolled through and I finished in the top 1/3 of runners. I ran Chicago in comparable heat and LA was much more miserable because the organizers were NOT prepared. In Chicago there were sponges and ice available on the course in about 10 different spots. In Chicago there were fire hoses every mile spraying down runners who wanted it. I only saw 2 fire hydrants open on Sunday. I was pretty ticked off at race organizers on Sunday and I feel strongly that they should have been better prepared. I managed to get my medal, grab water and food and reunite with Joe. It means so much to me that he is supportive of my hobby and helpful although I promised him no more 4 am race wake up calls for a while. This race was, without a doubt, the toughest marathon I’ve ever run. I am so proud of myself for finishing even though I didn’t break my PR. Had my stomach cooperated and the weather been nicer I would have been able to bust a big PR. Such is the marathon. You never know what is going to happen on race day. Much like life, you cannot control circumstances. All you can do is prepare as best you can, remain positive and resilient, adjust expectations when necessary and treasure the course you are privileged to travel. Race day is almost upon us. One week from now I’ll be cruising along the LA Marathon course. To say that I’m excited about the LA Marathon is a massive understatement. I’ve watched the marathon for the past three years and I’ve wanted to run LA for several years. Coming off the Long Beach Marathon in October my body felt strong and my schedule opened up enough to allow for training. I took the rest of October and November off of serious training (although I did still run occasionally). In December I made the official decision to run LA. Luckily I still had a decent amount of running endurance left over from my last training cycle. Yes, this photo is getting posted again. Deal with it. I didn’t really dig into my marathon training until the first week of January. January through early March isn’t that much time to prepare for a full marathon. However, I was able to start my long runs at 10 miles and hopped right in to relatively strong mileage. I think running two marathons in reasonably close proximity helped my training. I knew what to expect and my body felt great the entire time. Maybe it was the back to back training cycles, but my body felt more comfortable with the discomfort of training. I knew when I needed to snack so I wouldn’t get hangry, my hips ached less and the quality of my runs improved. Overall, the whole experience has felt very low key. Friday through Sundays I kept flexible. Between the three days I attempted to get in cross training, speed, and a rest day. I was able to consistently get in my speed and rest day. Crossing training wise I alternated between spinning, occasionally weight sessions and hiking. There were a couple weeks where I ended up with an extra rest day. Three rest days while marathon training is kind of a lot but I’m going to be honest, it improves the quality of my long runs. Within the running world there is a conventional wisdom about how you have to train and sometimes it’s easy to get sucked in comparing training and worrying about getting in enough miles. However, I’m never going to be a runner who easily runs 60 miles a week. My body just isn’t built that way. The past two marathon training cycles I’ve struggled to reach the 40 mile mark. I’ve been able to achieve that goal by incorporating biking. My bike was stolen last fall (out of my locked garage, don’t get me started, I’m still annoyed) so I generally ran lower mileage throughout training. I may have run fewer miles, but I had more weeks of higher mileage. I ran 4, 30+ mile weeks, maxing out at 35. I felt great the whole time. My paces were faster. I took fewer walk breaks on my long runs, and I incorporated speed work and tempo runs throughout training. It worked for me. I’m in full on taper mode now, which feels great. I am in a moment of life transition right now. I start a new job tomorrow which will help me keep my mind off tapering and hopefully keep any marathon anxiety at bay. I am so excited to finally make the trek from Dodger Stadium to the Santa Monica that I haven’t put too much thought into my goals. My overall goal is just to enjoy the run. I don’t think I’m going to do another marathon for at least the next year so I want to soak in the experience as much as possible. This marathon in particular means so much to me. I started running in West LA during a tough time over 4 years ago. My main goal is to enjoy every moment of this run, especially the final miles in my old stomping grounds. But hippy dippy feelings about running aside: I would love to PR (obviously). 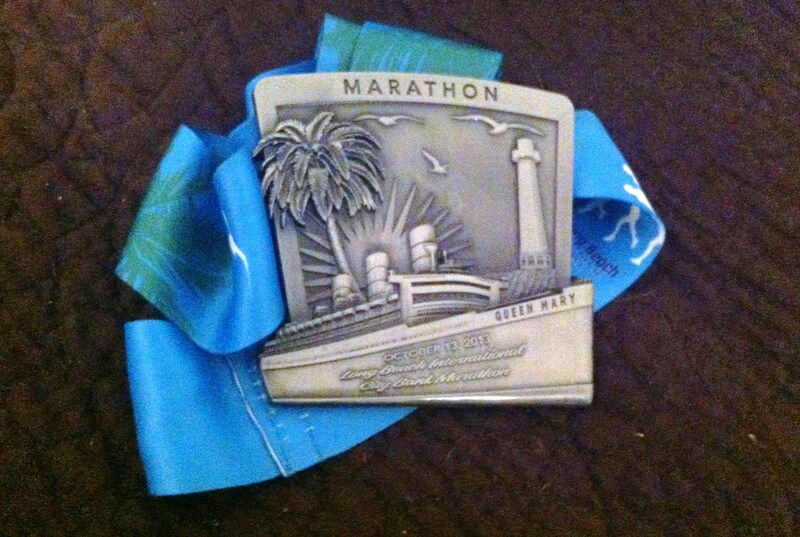 I ran Long Beach in 4:50, and was pacing to a 4:45 finish until mile 20. I think I may have a PR in me if only because I added in more speed work, I’m familiar with the final miles, and this training cycle built on my last training cycle. If I can’t PR, I would like to break 5:00, and if I can’t do that I would like to beat my Chicago Marathon time (5:22). I would also like to run the entire final mile. Perhaps I can do it this time without the assistance of other runners on the course. I’m ready and excited. More than anything, I cannot wait to feel the magical marathon feeling. I cannot wait to challenge myself and reach the goal. It is a truly addicting and intoxicating feeling. I’m ready to run my city. I spent most of the week before new years running, relaxing, and ruminating on 2013 and the goals I want to accomplish in 2014. I didn’t write a post like this last year. I think the New Year’s 2012 post where I declared that 2012 was the year I would pass the bar burned me a bit. However, I have some goals for this year and I want to share some of them with you. I’m leaving my personal and professional goals off the blog because I don’t want them on the internet for the entire world to read forever. With no further ado, my health/ fitness/ food related goals for 2014! On March 9th I will be running the LA Marathon. I have had the LA Marathon as a goal race since I started running. I’m so pleased to finally be taking it on. I just ran the Long Beach Marathon in October. Running marathons close together in time gives me some advantages. I remember vividly how training went and how I want to improve moving forward. This means more speed work, tempo runs with running club, and keeping myself accountable with the food I choose to fuel with. I’ve been dreaming about speeding down San Vicente in the marathon for years. I want to set myself up so I feel great about it when it finally happens! I’ve loved living in Manhattan Beach for the past year. In 2014 I’ll be moving and taking a big step forward in my personal life. Likely that will include leaving South Bay and moving back to LA proper. Nothing is 100% decided yet but because the possibility of leaving South Bay is on the table I want to enjoy every moment I spend here and appreciate Manhattan Beach for the amazing place that it is. That means: more strand runs, more time at the track near my house, and exploring more restaurants that I’ve wanted to try in South Bay. The farmers market in Manhattan Beach in on Tuesday afternoons which is sometimes difficult for me to make. I desperately miss going to the farmers market weekly like I used to and I want to make sure that I incorporate it again. My schedule is flexible enough that I should be able to make it on other days of the week. The last time I hiked… I believe this was March 2013. There are so many trails nearby, and hiking is such a good way to enjoy the city and embrace an active lifestyle. I think I only hiked once last year. I can do better. Last but not least, I want to be more careful about what I put in my mouth during training. 4 years ago when I was losing weight I was pretty rigid about my diet. As I started to run more I relaxed a bit. With marathon training my food becomes a free for all of humongous portions, late night snacks, and nearly daily bags of chips. This time around I want to focus on eating a diet that isn’t 70% carbs. To this end, I have started using the Lose It! app on my iphone to track my calories. It’s been helpful so far. I ran 10 miles yesterday, logged the run in the app and was actually surprised by how quickly I was able to work back from the deficit. I think I’ve been over eating during training cycles. Also, because I’m tracking what I eat, I’m more conscious of my protein intake. I want to be clear; I am not tracking because I am on a desperate quest to lose weight. Not that there isn’t some holiday weight that I would like to see go away, but rather I also want to make sure I’m eating enough throughout the day. I am notoriously hungry the day after my long runs which will never fully go away but I think it would help my hunger if I ate a more protein rich diet. What are your food and fitness goals for 2014? Last night I had the privilege of attending my blog friend turned real life friend Gillian’s spinning class at Gold’s Gym. Gillian and I met almost 2 years ago through our blogs. We hit it off and have been eating, spinning and expo-dominating together ever since. Gillian is a 3L at Loyola Law (yay lawyers) and also just got certified to teach spin. 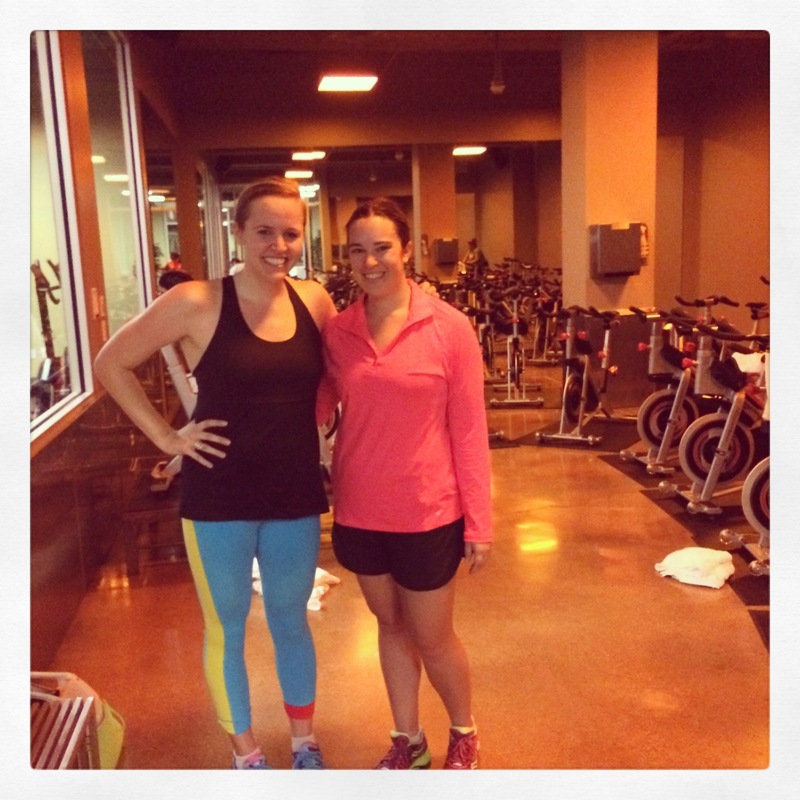 She has taken on a few classes at Gold’s Gym downtown and is killing it as a spin instructor. I’ve never been to a fitness class taught by a friend and Gillian and I have very similar taste in spin classes (Laura Crago’s Soul Cycle class for life, although now that Soul Cycle is raising their prices that will be very few and far between) and we like the same type of music when working out (more beats please) so I was very excited to take her class. 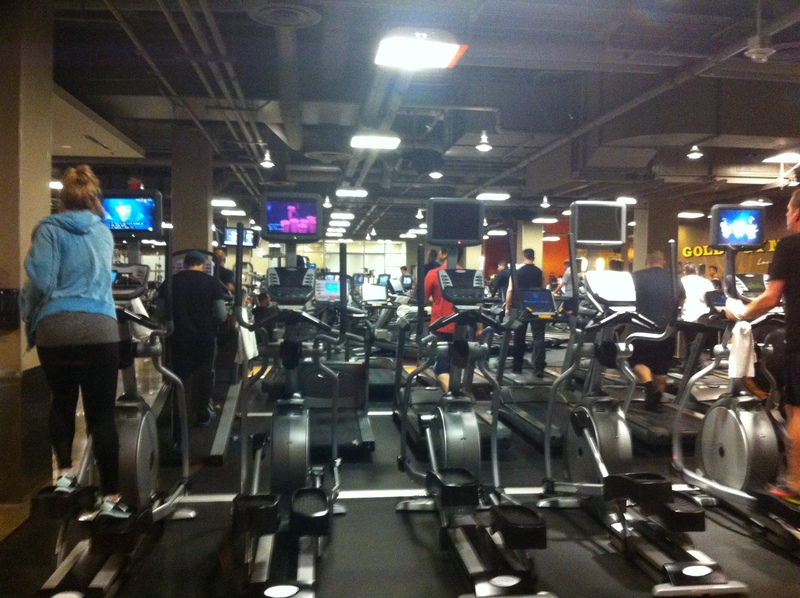 First of all, Gold Gym downtown is very nice and totally surprised me. I thought Gold’s was going to be full of obnoxious bro-ey weight lifters and very bare bones as far as gyms go. I could not have been more wrong. 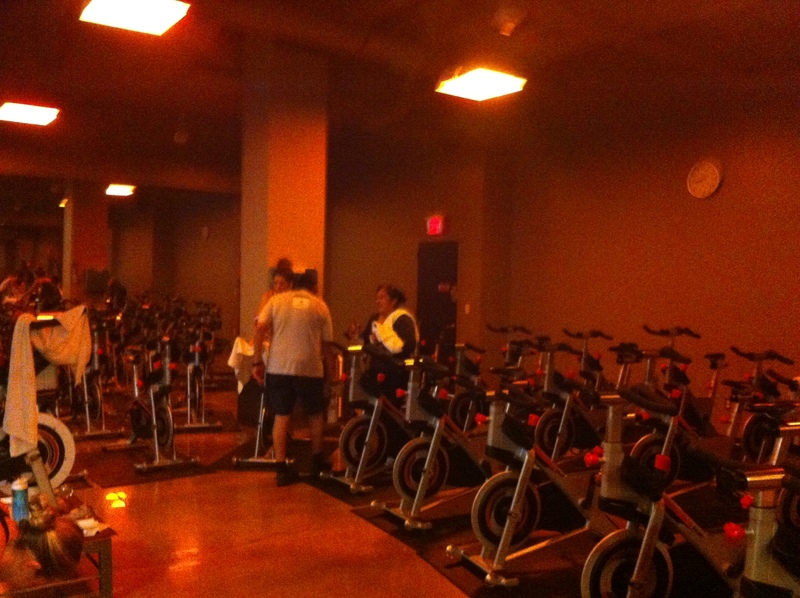 There was a fancy locker room and pool, a couple very nice studios for body pump and spin, and plenty of machines. Everything was very up to date and fancy. Obviously, my impression of Gold’s was completely off base. Gillian’s class was fantastic. If you go to Gold’s you should check it out. She had us doing several sets of sprints, hill climbs and jumps. The jumps worked the core muscles, the hills challenged my legs and the spring forced me to push through fatigue. The music was heavy with beats, hip hop and remixes of popular songs which I really enjoyed. I was dripping with sweat after one song. Gillian also worked arms into her class which I appreciate because I will take strength training where ever I can get it. I had some issues switching from spinning in clips to spinning in regular shoes but after a song I got the hang of it. I wasn’t sure how long the class was going to be so I tried to pace myself. Gillian was very clear about when to increase resistance and by how much. I kept at least one extra turn on my resistance throughout the class and at some times increased my resistance even more. My legs felt strong and capable throughout class and I am sore today. I feel like people being sore after your class is a major sign of win so congrats Gillian. Gillian has a serious talent for teaching spin and if you get a chance you really should try and take her class. For me, it is super motivating to see her take on spin certification and teaching while in law school. She’s passionate about spinning, got certified, went after teaching opportunities with tenacity and strives with every class to get better. She definitely motivates me to focus up on the things I’m passionate about and taken them on! 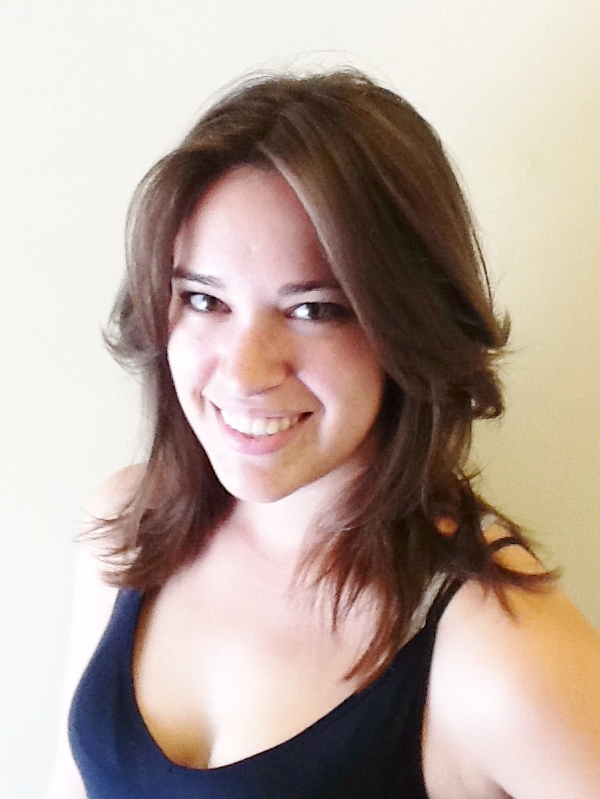 Gillian teaches at Gold’s on Wednesday night at 7:45 and Saturday morning. I have been a very negligent blogger recently (blah blah blah). People are telling me that they miss my blog. I will be posting more… probably mostly fitness based right now because that’s whats on my mind but I’ll try to get some food in there for ya.